Including a Shark-inspired piece, two Wolfgang WG Standard Xotic models, and some fresh coats. Ahead of NAMM, EVH has introduced a selection of new guitars and finishes. Headlining the brand’s offering is the all-new Striped Series Shark guitar, which is a recreation of Eddie Van Halen’s famed striped axe. 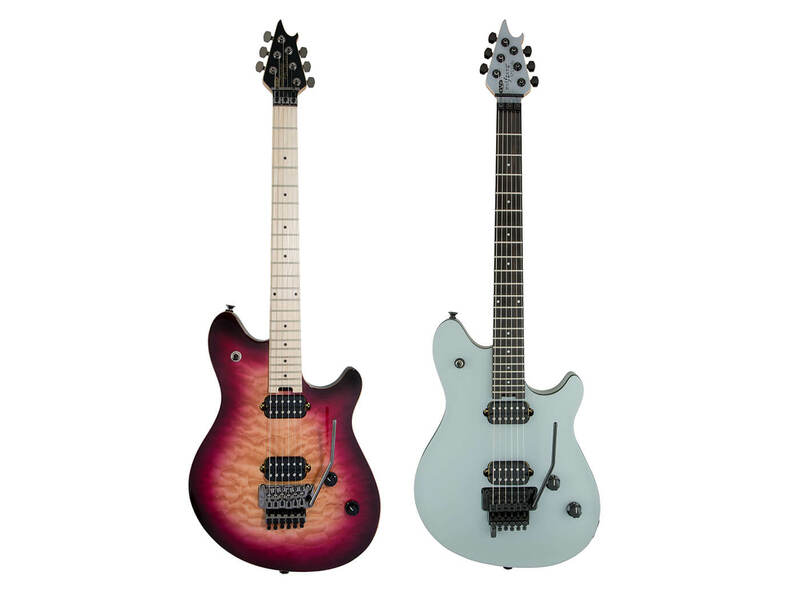 A pair of Wolfgang WG Standard Xotic models and new finishes on the Wolfgang WG Standard QM and Wolfgang Special guitars have also been introduced. It’s instantly recognisable by its angular shape, “hockey stick” headstock, and Burgundy with Silver Stripes finish. Parchment and black bobbins feature on the bridge and neck pickups respectively, while menacing chrome eye hooks with turnbuckles slot between the guitar’s jagged edges. The instrument features an ash body and a set maple neck with a modified C profile. It also comes with a pau ferro fingerboard that has a 12- to 16-inch compound radius. The guitar’s tone is derived from two EVH Wolfgang alnico 2 humbuckers, which are capable of sweet sustain and thick, meaty rhythms. These sounds can be shaped by a low-friction control knob – with a treble bleed cap – and a tone knob. EVH has released the Wolfgang WG Standard Xotic and Wolfgang WG Standard Xotic Ziricote. 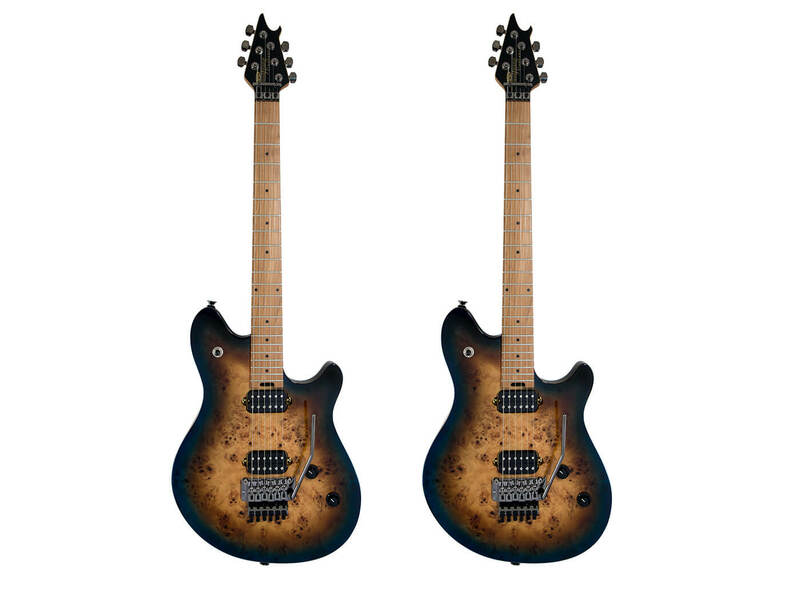 Though both models are similarly spec’ed, they differ in the choice of tops: the former features a poplar burl top, while the latter features a ziricote top. Otherwise, the guitars are almost identical to each other. They each feature a basswood body, a masked-off natural body binding, a bolt-on baked maple neck, as well as a baked maple fingerboard with a 12- to 16-inch compound radius. Similarities continue in the electronics department, with each guitar boasting a pair of mounted EVH Wolfgang humbuckers. As a final touch, both models are fitted with an EVH Floyd Rose Special bridge and an R2 locking nut. EHX’s Wolfgang WG Standard QM and Wolfgang Special models have been refreshed with new finishes. The former is now offered in Mango Burst or Tri fade finish options, while the latter now comes in Primer Gray, Metallic Blue, or Polar White finishes.